Dawn Adams stars in Singledom as Naomi Giles, the strong, but silly financial advisor begrudgingly thrust back into the dating scene. When casting for this role, we had a very specific Naomi in mind. She had to be smart, funny and successful, yet vulnerable and relatable. Most importantly, we wanted our women viewers to see a part of themselves in her. Dawn knocked it out the park and created an empathetic character that you can’t help but root for. 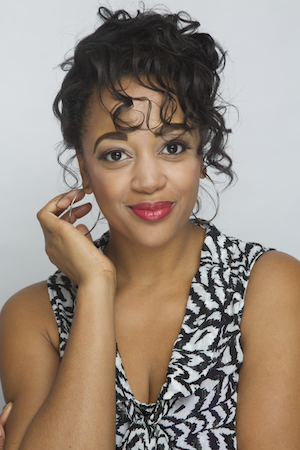 Dawn Adams is a Philadelphia native who began her experience in acting at an early age through participating in school plays and theater activities. As Dawn learned all she could about singing and the performing arts she began using drama as a ministry at her local Church; where she traveled throughout the United States and Mexico to work as a minister as well as to compete in the Fine Arts Competition for several years. After High School, Dawn knew she wanted to study visual arts and graduated with a Bachelors of Arts in Communications with a focus in Multimedia and Film Production. In 2007, a year after college Dawn’s life was stricken with grief when her beloved father died of lung cancer. Knowing how much Dawn loved theater, her father continuously encouraged Dawn to pursue her dreams of Acting Professionally. From that day on Dawn made it a point to follow her dreams in memory of her Father David Adams. 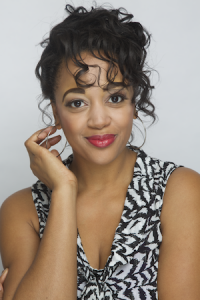 Dawn has performed over the years in various theater productions at the Liacouras Center, The Shubin Theater, The Baptist Temple Theater and many others. You may have seen her on many different commercials for Comcast, Sprout TV, and The State of Delaware Healthy Parenting Campaign. Dawn’s on camera resume consists of many projects including Major roles in the upcoming Brotherhood of Silver currently on WMCN. Dawn also volunteers with her local State Representative and has worked as a host for events between Washington DC and Philadelphia. Dawn truly loves working with children and enjoys teaching theater at the YMCA and Eastwick Regional Recreation Center. You can follow Dawn Adams on Instagram @Imani42 for up to date information on current projects.